Soon enough, I will be back to writing about happy hours, fun shopping events, parties and of course, champagne! For now, my mind is very occupied with pregnancy, all things baby and parenting! I am thrilled to announce that I will be partnering with a good friend on a baby blog very soon which means less baby stuff here, but for now because my due date is tomorrow, I’m onto a baby topic. Every mom-to-be is different. And while I certainly found my way on most things, I loved the opportunity to read up on what other pregnant women found to be helpful, harmful and everything in between during this pregnancy. I was also grateful for my friends who shared their thoughts in a way that was not judgmental or preachy. I personally loved reading well-written birth stories like Joanna Goddard’s on her blog “A Cup of Joe” and Emily Ley’s on her blog. 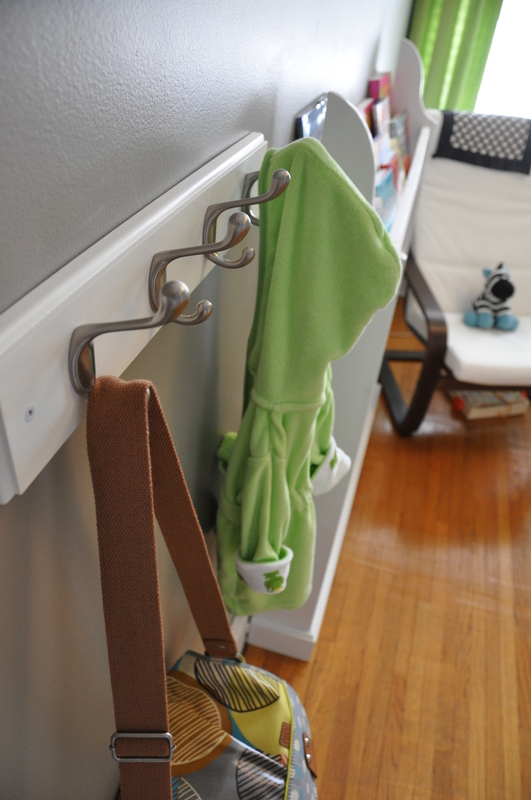 Emily also offered a fun post on must-have items for baby on her blog. I will be doing the same once the little man is here and I know what works for us. So while I patiently await the arrival of our first baby, I wanted to share my guide to a fancy pregnancy. This comes in several parts–part I will focus on the things you will hear and experience and how to combat them. Part II will focus on books and items I found to be helpful. Part III will focus on experiences to splurge on to make pregnancy a little more enjoyable. And if you are a mom or mom-to-be, please share your thoughts with me as a comment or by e-mail at livethefancylife@gmail.com. I would love to include your ideas as well since every mom, dad and baby is so different. So here goes. People will say the darndest things—and pregnancy somehow takes away their filters! Ignore these people or have kind, compassionate, yet punchy comebacks. You will hear every horror story—from pregnancy-related ones to delivery stories to how difficult a newborn is and how you should enjoy sleep while you can (you know, because it’s possible to bank sleep!). Guess what—all of the people telling these stories survived and you will too! And for me, 99.9 percent of the bad things I heard about pregnancy never happened. Admittedly, I had a pretty smooth and fantastic pregnancy, but it goes to show that it is very possible that one person’s experience does not mean you will have that same experience. Your weight becomes a common topic of conversation—I’ve had conversations with many of my friends about the inappropriateness of this, but it will happen, so if you can, get used to the idea. When people would say “you’re getting so big” or more recently laughing and asking when I will pop, my response is “I’m still feeling good, just enjoying these last few weeks.” I ignore the size/weight part of it. Unsolicited advice will flow! Love it or hate it, every woman and man who is a parent will have a lot to share with you. I handled this differently depending on where I was in my pregnancy. Sometimes, I loved the advice and ideas, while other times it was frustrating and made me afraid—very afraid. I have learned that the best approach for my husband and I with our baby boy is what works best for us. Some of the advice will come in handy, some of it won’t. That’s ok. Again, I think people are truly trying to help in most of the cases. Pregnancy rocks! While there are definitely hard days, like nausea every day for 13 weeks in the beginning or days when finding clothes that fit is impossible, every little kick from my baby reminds me why this is all so worth it. I also feel so much more connected to other moms and especially to my own mom and grandma. Be kind to yourself. Cut yourself some slack. Exercise—even just short walks can really help energy, mood and how much weight you gain over the pregnancy. Find a few great blogs and books to read throughout pregnancy. Go on dates! Lot and lots of dates! Meet your girlfriends for brunch, for dinner, for anything. Enjoy every moment. Time flies! I will update you all on the arrival of our little guy as soon as he decides to join us! We’re still patient and hoping to meet him sometime soon. Live the fancy life! 2 Responses to "guide to a fancy pregnancy—part I"
Love this!! So true. And quite a lot of it applies to mommies with babies as well. Ah, I am so glad I just read this. Yesterday I got an email from my aunt on facebook that said “Are you sure you are only 5 months, you look enormous. I think you should be checked for gestational diabetes.” I cried for an hour. People seem to think that being pregnant means that your body is up for discussion and comment. I also got the “are you sure it’s not twins” comment last week. Ouch… and all this after I had just been in the best shape ever for my wedding… I started feeling like I would never be normal sized again. Love your blog and totally appreciate the mixture of social, home, baby, etc…. thanks!